In a story titled “Questions Left for Mississippi Over Doctor’s Autopsies,” we learn about Dr. Steven Hayne, who did most of the autopsies in the state of Mississippi for approximately two decades . From “the late 1980s through the late 2000s,” Dr. Hayne did autopsies for the state, but rather than receiving a regular salary as a state employee, Dr. Hayne was paid by the autopsy. This gave him a strong incentive to do as many autopsies as he could. He did about 1,700 autopsies in most of those years, a caseload that is about seven times the maximum recommended by the National Association of Medical Examiners. There are now four lawsuits pending concerning Dr. Hayne’s work, with about ten more on the way. Brought on behalf of inmates who claim they were wrongly convicted, the suits charge that Dr. Hayne misrepresented his qualifications as a forensic pathologist. Perhaps more importantly, the lawsuits contend that Dr. Hayne drew conclusions based on ideas “that lie far outside standard forensic science.” For example, in one infamous case, Dr. Hayne testified that a child had died of suffocation when a large male hand had covering his face. Hayne based this opinion on a cast of the child’s face and his autopsy notes describing wounds on the child’s face, but the “large male hand” idea came weeks after the initial autopsy and only after the child’s three-year-old brother had implicated the mother’s boyfriend. According to the article, there is no scientific support for what Hayne did in the case or for the conclusions he drew. “I saw a very similar case like that on ‘Law & Order: SVU,’ ” said Dr. Andrew M. Baker, the president of the medical examiners’ association and chief medical examiner for Hennepin County, Minn. “I’ve never heard of it in real life.” Dr. Baker said not only was the technique unheard of but so was the ability to speculate from those sorts of wounds about hand size or gender. It’s tempting to regard this as another in a lengthening list of forensic scandals featuring faulty work. But Dr. Hayne’s situation is worth noting, because it illustrates the power of forensic science, and why those who perform these tasks must be under reasonable professional scrutiny and be subject to challenge. In Mississippi, with no one to challenge him, Dr. Hayne’s autopsy results decided countless cases, and there was no one to push back. In arrangements like that, disaster awaits. The article quotes Dr. Lloyd White, the Mississippi state medical examiner from 1989 to 1992, who explains why things like this happen: poor science is “able to persist because scientific testimony is too often viewed with uncritical reverence and because the people affected by its misuse usually have little support or sympathy.” No one was in a position to challenge Hayne, since he did almost all the autopsy work in the state, and the state and the prosecutors liked it that way. Years later, individual convicts, their families and perhaps the taxpayers are left to clean up the damage and pay for the mistakes. An article posted on Stateline (published by the Pew Center on the States) on November 26, “Forensic Science Falls Short of Public Image,” nails many of the problems with forensic science in the U.S. But readers will have to go beyond the references to “the CSI effect” and how this troubles police and prosecutors. 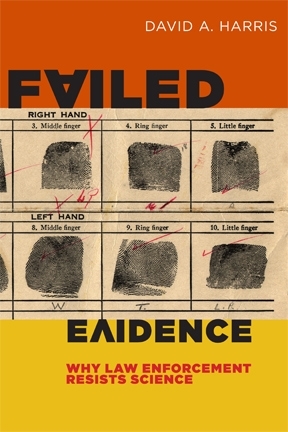 For those who read further, the real problems surface: the inherent weaknesses in traditional (non-DNA, non-chemistry based) forensic methods, along with lack of supervision and protocols, occasional outright fraud, lack of judicial knowledge about these issues, and prosecutorial unwillingness to recognize these problems. I do have to take issue with the writer’s comment that Annie Dookhan, the lab analyst who seems to be responsible for most or all of the huge numbers of fraudulent lab tests in Massachusetts was “led” to do this by overwork, underfunding, and case backlogs. I bet that her fellow analysts who did not falsify lab results in the same lab under the same conditions would beg to differ. But the article (part one of a two-part series) is still well worth a read. In addition to the on-target points about the science of forensic science, it also discusses a number of the recent crime lab scandals in Massachusetts, St. Paul, Minn., Texas, and Detroit. There was one thing that was not unexpected: plenty of discussion of the still-unfolding scandal at the St. Paul crime lab, including a revelation that I had not heard before. For those not familiar with what’s been happening at the St. Paul lab, take a quick look at my Failed Evidence blog post from last Thursday, which will link you to much of the news coverage in the last several months. We’ve learned about a lack of protocols, some very sloppy handling of evidence, and more. But at the event, we heard from John Harrington, former chief of police in St. Paul and a member of the panel, that the problems recently revealed may in fact have roots that go back some years, and that he told local officials about shortcomings at the lab as early as 2006 and 2007. Chief Harrington said that he brought engineers from 3M into the lab in 2006 to study it, pinpoint any problems, and to tell him what to fix and how. The good folks at 3M did their work, and came back to Chief Harrington with a plan and a price tag: $2 million dollars. Chief Harrington sought federal funding, but without success. He then went to local officials, and they turned him down. He was told, in effect, do the best you can with what you have. There was no appetite for fixing the problems if there was a cost to doing so; the system would simply have to limp along. Without knowing more, it is impossible to tell for sure whether the problems spotted by 3M in 2006 were the same ones that came to public notice in 2012, or whether the issues found by 3M in 2006 led to the 2012 issues. But we can be sure of one thing in this world: you get what you pay for, and if you won’t pay to improve things when necessary, you won’t get improvement. So is seems that this information deserves to be taken seriously. If these facts are not already part of the investigation into the lab scandal (and I can’t find anything about them in the news coverage thus far — please correct me if I am wrong), perhaps they should be.